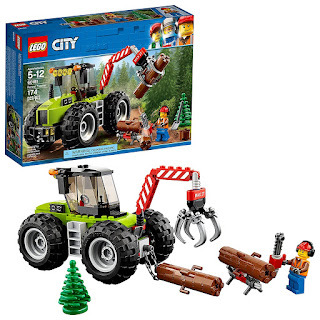 Stock the gift closet on a budget with the best price on this LEGO City Forest Tractor Building Kit (174 Piece) for ONLY $15.99 (Reg. $19.99). Build a sturdy forest tractor model with moving arm, opening claw grabber and buildable log stand!